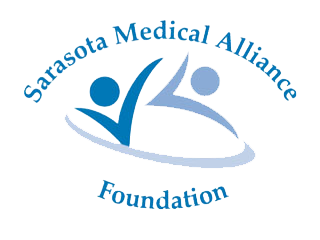 Our Society Alliance has been serving the community since 1947. We are proud to partner with NAMI on this project. NAMI Sarasota County has identified the need for evidenced-based, preventive programming designed to address behavioral/mental health needs of youth, aged 13-18, in middle and high schools, as well as in other community-based settings. There is now a new program at NAMI Sarasota County called Ending the Silence. ETS goes into middle and high schools and teaches teens how to recognize the signs and symptoms of mental health conditions and how to get help for themselves or their friends. The presentations allow for students to ask questions and gain an understanding of an often-misunderstood topic. Through continued conversation we can continue to help reduce the stigma surrounding mental illness." For more information or to schedule a presentation please email info@namisarasotacounty.org or call 941-376-9361. Helping middle and high schoolers understand mental illness makes a big difference. Figuring out creative ways to connect with middle and high schoolers can be the challenge. Ending the Silence does this in the school setting where students get to see the reality of living with a mental health condition. During the presentation, a young adult in recovery and a family member tell their stories about mental health challenges, including what hurt and what helped. The program encourages students to share their experiences of the ETS presentation via social media. Taking this a step further, in today’s world of multi-media, there is an opportunity to provide middle and high schoolers engagement in a video project related to ETS. This type of project furthers the conversation related to understanding mental illness, signs, symptoms and how to get help, but also the elimination of stigma surrounding mental illness.